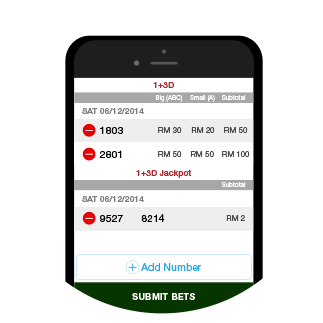 Using the dmcGO app to bet is as easy as 1-2-3! 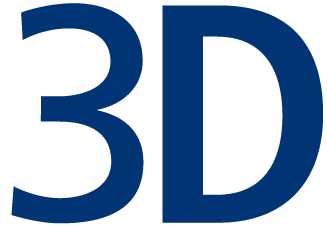 To install the dmcGO Android app, please ensure that you enable/allow installation of apps from 'Unknown Sources' or non-market apps under Settings > Security > Device Administration > Check Unknown Sources. These settings may vary for different phone models. Please check your device manufacturer's settings. Prefer to speak to a person to place bets? Perform a fast and secure electronic fund transfer to dmcGO account. 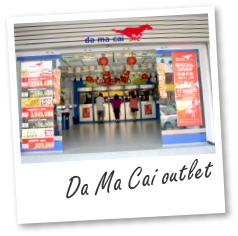 Just walk into our Da Ma Cai outlet to top up using cash. 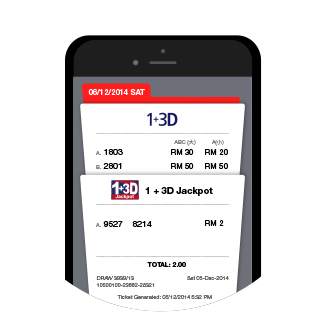 You can bet without even topping up first by using our dmcGO app. Simply select your bets and pay on the spot with our instant online bank payment. 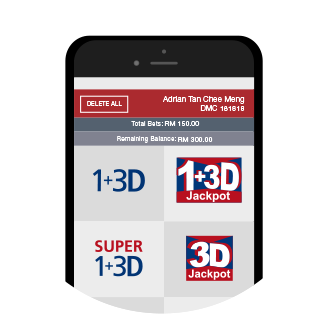 For the fastest results, catch Da Ma Cai draw live on our dmcGO app every draw day. Screen through or analyze the latest or past results. It’s on mobile. 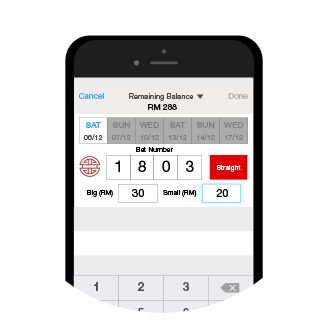 Be inspired with our Numbers Dictionary, Zodiac Numbers and Fortune Numbers. 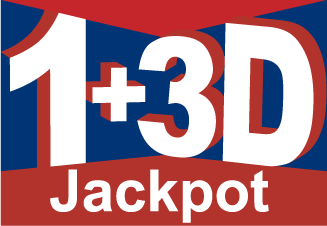 Find out what your auspicious 3D or 1+3D numbers are. Save your regular numbers in a favorite list to quickly place the same bets each time. 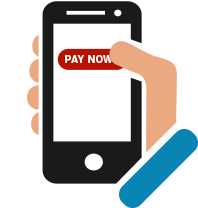 Submit an e-withdrawal request from anywhere using your mobile phone or computer and we will bank in your winnings directly to your bank account. Drop in to any of our Da Ma Cai outlets nationwide to withdraw up to RM6,500 in cash a day. For higher withdrawal amount*, visit any of our Regional Offices.